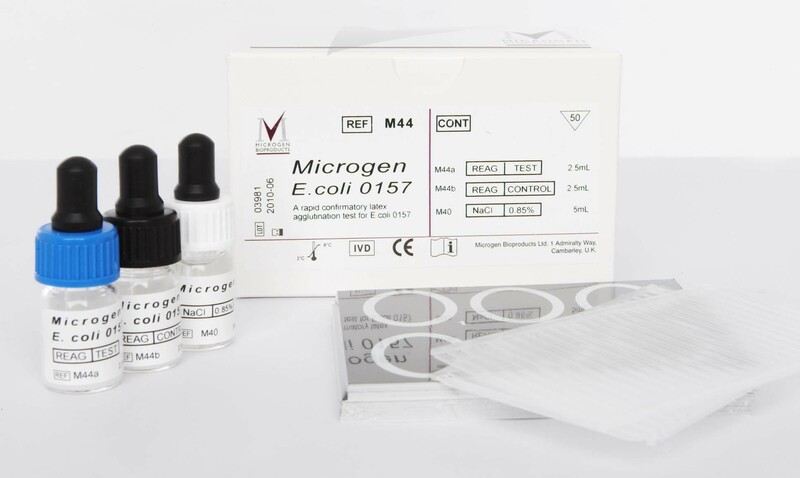 Microgen E.coli O157 is a rapid latex agglutination test intended for confirmatory identification of E.coli serogroup O157 cultures on selective solid media from human faecal or food samples. The test allows the rapid differentiation of E.coli O157 from other E.coli serotypes and organisms isolated from the faeces of patients with diarrhoea. 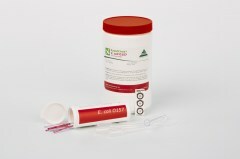 The conventional method for identification of E.coli O157:H7 utilises specific antisera in a standard agglutination test. However, this method and other commercially available latex tests have been shown to suffer from cross reactions with other enteric organisms such as E.hermanii, which antigenically and biochemically resembles E.coli O157, resulting in false positive results. 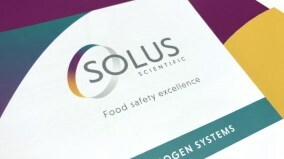 Microgen E.coli O157 contains a test latex which has been sensitised with E.coli O157 specific antibodies, that are prepared by absorption with potentially cross reacting strains. Microgen E.coli O157 has demonstrated no cross reactions when tested against a panel of 161 E.coli O157 'O' serotypes and 56 'H' serotypes, and shows strong specific agglutination. Microgen E.coli O157 gives strong and specific results within two minutes and comes complte with a control latex which can be easily compared with test results to confirm non-specific reactions.